Garment conveyors are a premium material handling solution provided by SRS Conveyors. 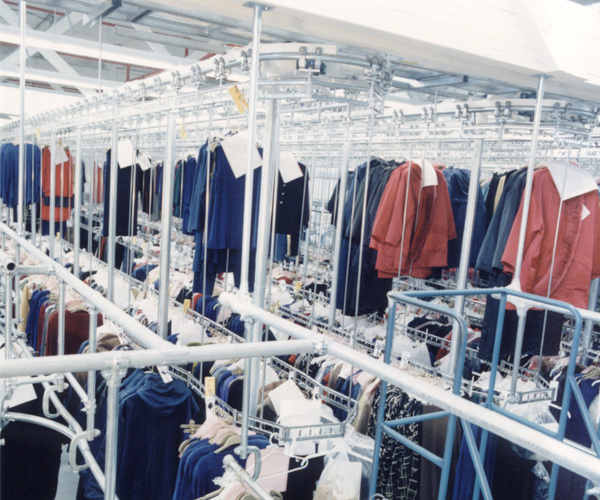 Since 1962 we’ve been developing garment material handling, storage and retieval solutions. 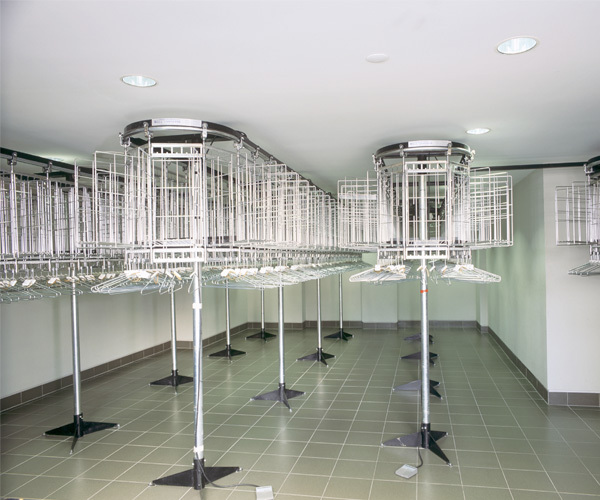 Our variety of garment conveyors covers the range of requirements in today’s sophisticated garment handling industry. 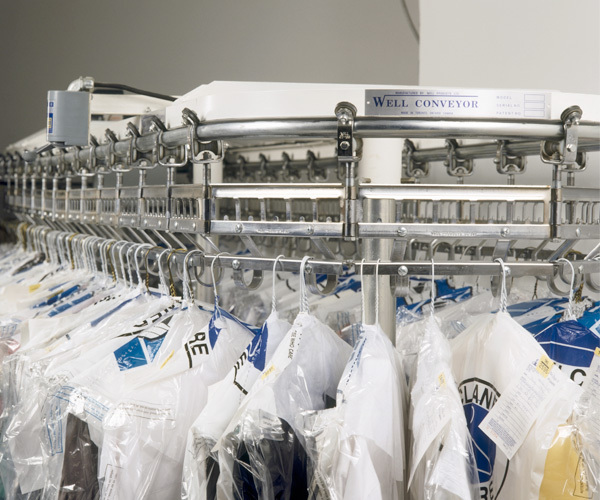 Our standard garment conveyors significantly increase your hanging capacity up to 40%. 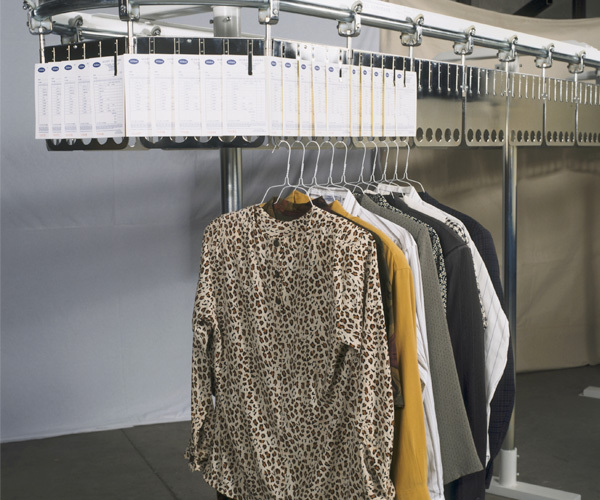 Read more about the Model-ST Standard garment conveyor. Our higher capacity double-tier garment conveyors include the double tier, the single-double tier and the floor-to ceiling double tier. 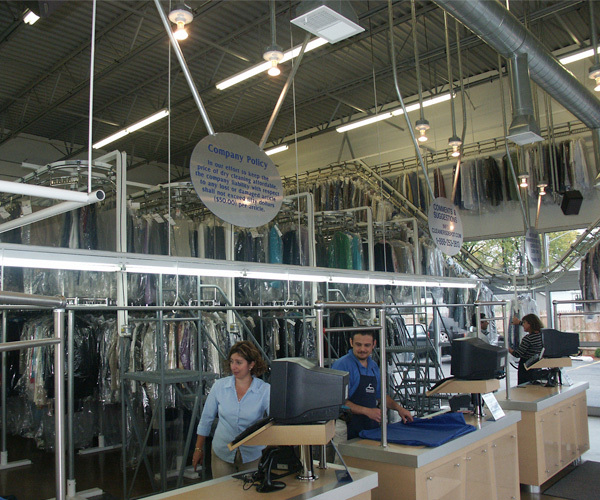 In addition, we also feature a standard floor to ceiling garment conveyor. 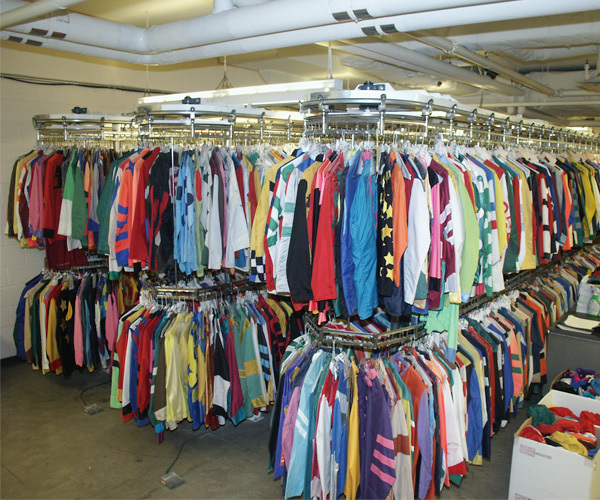 Since 1962, SRS has specialized in providing turnkey garment material handling including our suite of completely modern garment conveyors such as, Uniform Conveyors, Property Storage Conveyors, Inmate Property Storage Conveyors and Display Conveyors. We are happy to provide clients with any help they require, from initial design and layout to project oversight to complete implementation and programming.